The school’s building is solid. Spacious. The rooms are sun-lit and airy. I am loving the trees in the lawn where the school band is practicing. As the side-drums roll and the bass drum thunders and the flutes lilt away to the tune of “Pak sarzameen shaad baad”, the trees sway in the breeze – date palm trees and Lignum amongst others. As you enter, you hear a soothing twittering of chirpy voices typical of any girls’ school. The girls are all ages. Neat and tidy in grey and white uniforms. Tightly oiled plaits and braids. Sounds of “Good morning miss” resound in the corridors. Everybody seems busy. It’s a good school and the kids seems happy and busy. So neat, well-planned and spacious is the school that it is hard to believe that it is run mostly on charity. The girls, with heads held high, are daughters of under-privileged parents mostly. Chowkidaars, thailay waalaas (vendors), maalish walaas, maasis (maids), dhobis, labourers……and many girls are orphans. I met one who had lost her father in Karachi riots last year. The whole family makes rubber chappals at home and the brother sells them in the Makki Masjid area. Yet once in school, the girls forget their problems, and sit alongside other better off students. Some of those from very poor backgrounds are doing very well in school, which is heartening. Taaleemgah Dukhtaraan e Awaam Trust Girls’ School, DHA, is sandwiched between the affluent Phase 1 of Defence and Azam Basti/ Sau foot road. The building and land was the kind donation of one of the Sheikhs of UAE. It has more than a thousand students and very sincere, dedicated and trust-worthy staff members. Most of these girls see their coming to this school as their one chance of better tomorrows – a chance at education, at economic empowerment, at awareness and a better life. 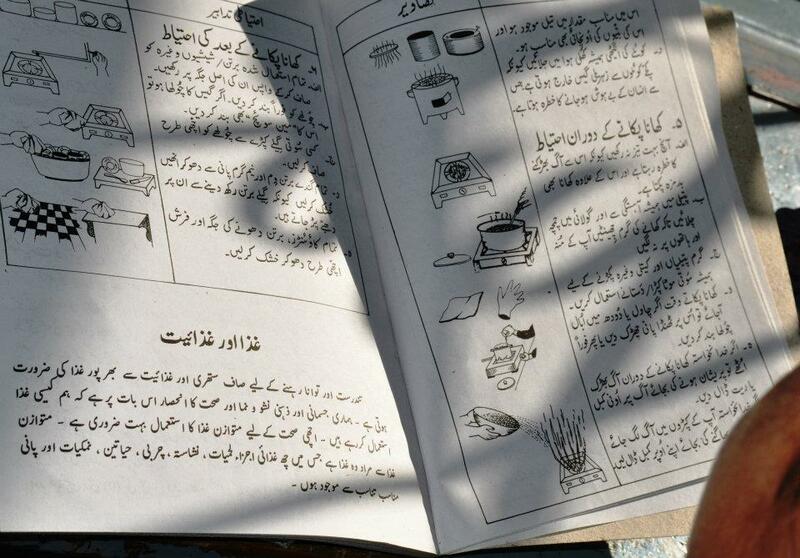 A girl’s education can be sponsored with as less as Rs 6000 an year. Lesser or greater funds can be donated into funds for uniforms, books and in some cases even the food for these children. 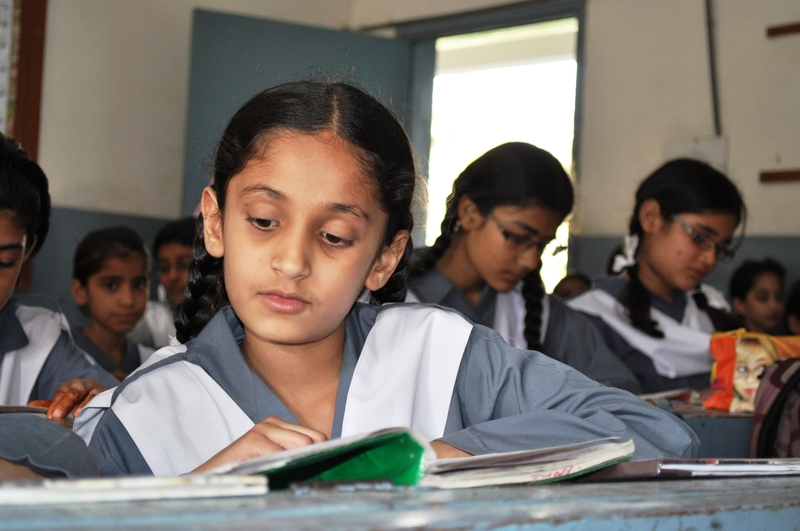 Educating the girl child is the answer to many of Pakistan’s key problems. If each one of us who can afford to take up at least the task of educating even 1 girl child, how much change could we bring? Good, positive change! But it’s not enough to drop off an envelope of money. See the child you are sponsoring. Give her incentives when she studies well. Follow up on her attendance, even through one phone call every few weeks. The school drop out rate is very high for girls from under-privileged backgrounds. 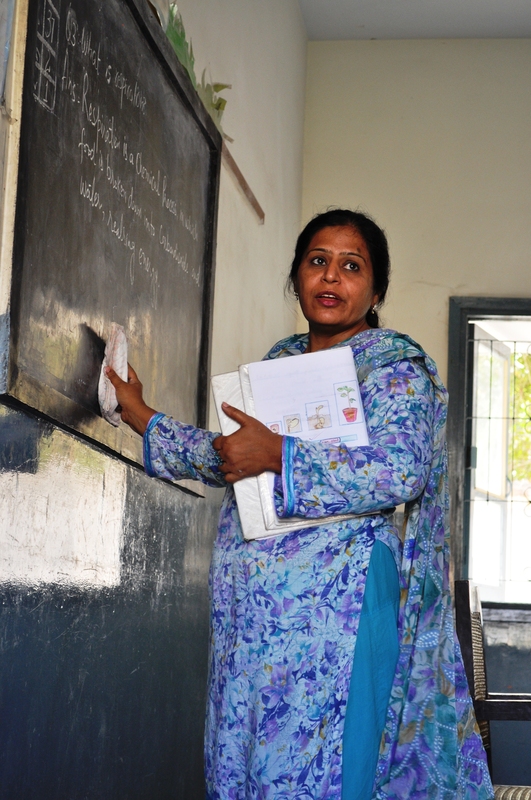 Parents often pull them out of school so that they can help with house chores, or be employed as child labour. Monitoring their progress ensures that they stay in school. Let’s make a difference. Because these little girls need our help. And Pakistan needs them to be educated. Posted in Human Rights, Women and tagged educating girls, education, girl child. Bookmark the permalink. 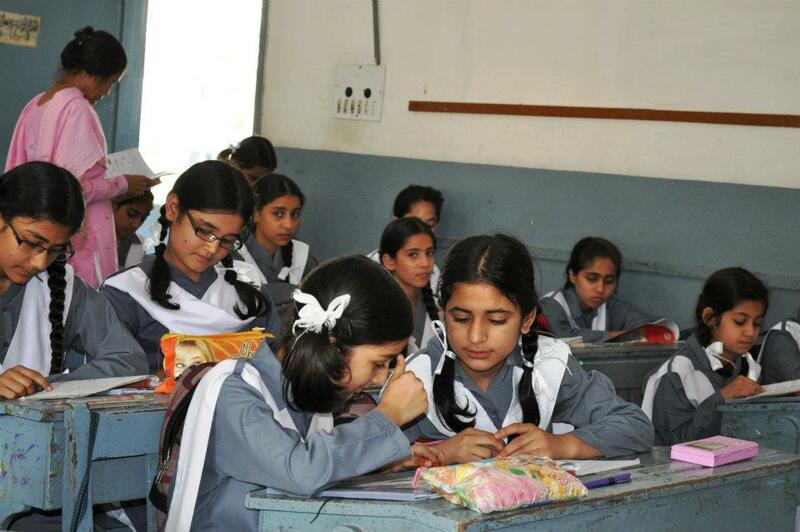 Column at Pak Tea House – Educational Disparity in Pakistan…what does it point to? Posted in Straight From The Heart and tagged education, O Levels, Paktea house. Bookmark the permalink.